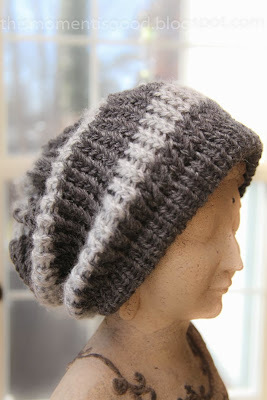 LOOM KNIT STRIPED SLOUCH HAT | Loom Knitting by This Moment is Good! This hat knits up quick in one evening and would look great in any color! -Chain cast on 41 pegs with Charcoal Heather (using 2 strands as one). -Reach down and fold up first row of stitches and place on pegs forming brim of hat. Knit together. 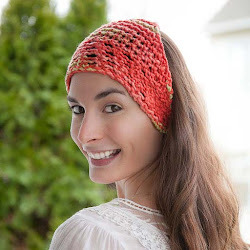 -With Silver Heather (1 strand) e-wrap knit 4 rows/rounds. -Change to Charcoal and e-wrap knit 7 rows. 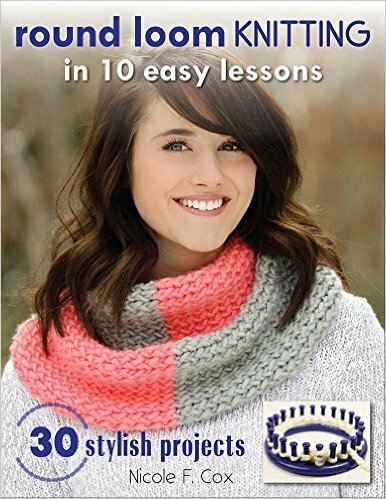 -Change to Silver and e-wrap knit 4 rows. -Move peg 1 to peg 2, peg 3 to peg 4, peg 5 to peg 6 and so on to decrease stitches. This will also give you the star pattern at the end of the hat. 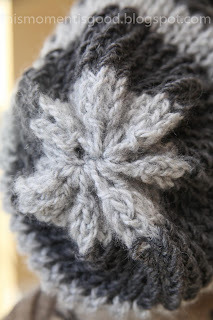 The back of the hat forms a pinwheel/flower pattern! 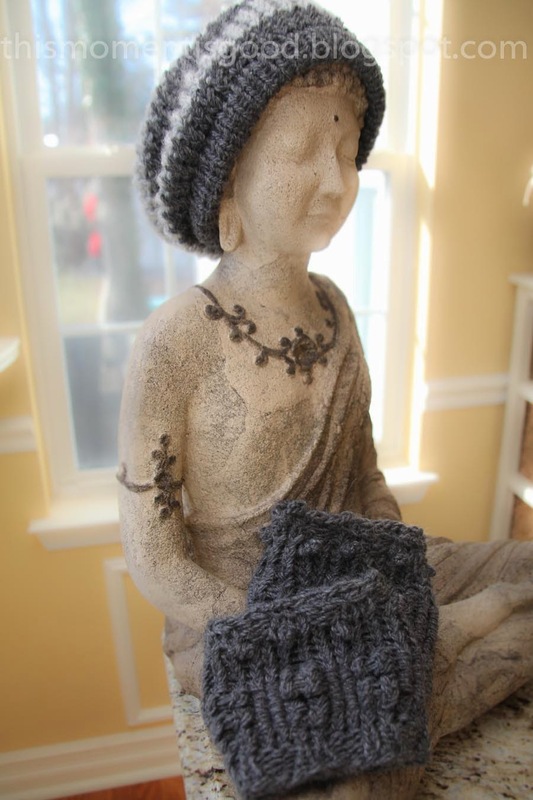 The matching boot cuffs pictured above with hat! Enjoy Your New Hat. Thank You For Reading! 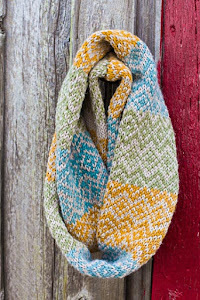 For the 14 knit rows, is it a U wrap instead of the E wrap? Just want to make sure as I am still new at looking. Thank you! Thank you for visiting my blog, it is much appreciated!